Thank You For Making 2018 An Impactful Year For Communities Across Chicago! As you share your memories with family and friends during this end of the year, we would like to share with you the incredible work you have supported over the year to advance racial equity and equal rights locally and nationally. 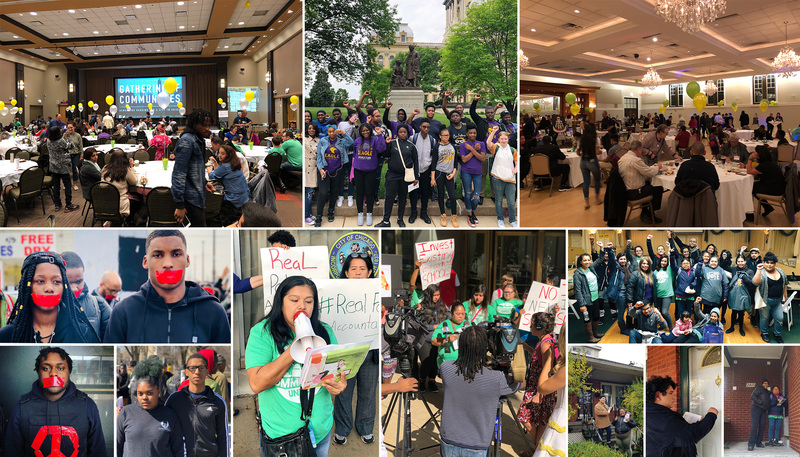 This year, hundreds of youth and adults from across the city joined efforts to lift up the need to address community trauma caused by decades of divestment in communities of color; made progress toward bringing long-awaited police reform to our city; secured over 225 rental units as affordable to keep families in our neighborhoods; and motivated over 3,500 voters to go to the polls. All of this work was driven by youth and adults from across the city who took leadership and courageously shared their narratives to advance change, and forged strong partnerships with allied organizations to build power. Your support has allowed leaders like Albert, Mariana, and Ruby, transform their lives and the communities the live in through the organizing work at Communities United. In this giving season, consider giving a tax-deductible donation to Communities United, we count on your support to help 2019 be an even more impactful year for our communities.